Diane: I have been back and forth with embracing my curls my whole life. Sadly, I did go through a phase of wanting pin straight hair and my poor hair suffered with relaxers. For the last three years or so I have truly been loving and enjoying my curly waves! Have you received any negative comments about your hair? How do you respond? Diane: A few people do say they think I look better with straight hair, but luckily most people do like my curls better! I just say "thanks" to those who think straight hair looks better. Diane: It depends on if it’s a wash day or not. Wash day is usually twice a week. I use a shampoo or co-wash followed by a deep treatment. My hair is colored and really dry so it likes a lot of deep treatments! Once a week I deep condition with steam or heat. Then, I apply a leave in, Living Proof Prime Styling Extender, Living Proof Restore Targeted Repair Cream, Devacurl B'Leave In, Jessicurl Spiralicious Styling Gel, and seal with argan oil. It sounds like a lot, but I am only using all of these products twice a week. I apply each product in sections and then plop with a Curl-ease Towel while doing my skin & body care routine in the bathroom. On non wash days I refresh using the Q-Redew, Jessicurl Awe Inspiraling Spray, and an anti frizz serum. Sometimes I’ll apply a leave in if my hair is really dry. Diane: I pineapple my hair and cover it with a satin bonnet. I also have a satin pillowcase for added protection. During the winter or when my hair is really dry, I will use a spray like the SheaMoisture Yucca and Baobab Thickening Moisture Mist for added moisture overnight. Diane: Oh I love so many products! 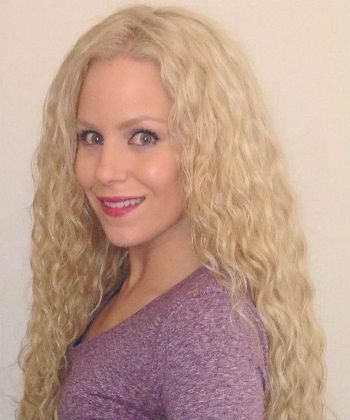 It would take so long for me to go through them all, but every few months I publish a favorite product video on my YouTube channel Curly Wavy Diane. Some of my favorite brands are Living Proof, Devacurl, Jessicurl, SheaMoisture, Nubian Heritage, Original Moxie, & Pureology. What is your favorite DIY recipe? Diane: I like mixing oils together for overnight treatments. I don't have a specific recipe right now. I just enjoy combining them all together. This may be weird but I take the SheaMoisture Deep Treatment Yucca and Baobab Anti-Breakage Masque and the SheaMoisture Raw Shea Butter Deep Treatment Repair Masque and combine them into one giant mega treatment mask because I can never decide which one I want to use. 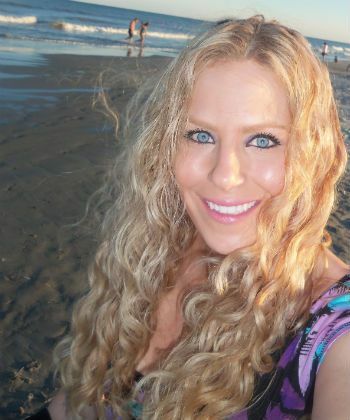 Diane: My hair loves coconut oil, argan oil, and shea butter. It really loves all butters or oils. Diane: My hair hates sulfates! Sulfates make my hair so dry. It also doesn't like a lot of silicones unless they are water soluble. Diane: In the winter my hair needs as much moisture as it can possibly get so I increase my deep treatments and use my steamer more frequently. 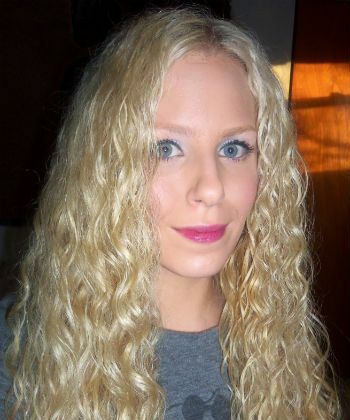 In the summer, the humidity causes my hair to expand and be very frizzy so I up the frizz fighting power. Curly Hair Solutions Curl Keeper is a godsend for me in the summer. Have you ever experienced damage? How did you recover from it? Diane: I used to relax and color my hair back to back, but not the same day. Looking back now I see the ends of my hair were so thin and much more fine than the rest of my hair. In earlier videos you can notice how thin my ends are. I let it grow out and nurtured my hair. Well, I still baby my hair as much as possible. I rarely use heat tools because I still color my hair and I incorporate a lot of deep treatments. Diane: I noticed there were very few curly-haired vloggers with similar hair types like me. Diane: I still can't believe I'm successful! It is so humbling. I think being real, truthful, and always being yourself is how you become a successful vlogger. Also being nice and organic. Viewers can tell if a vlogger is fake. 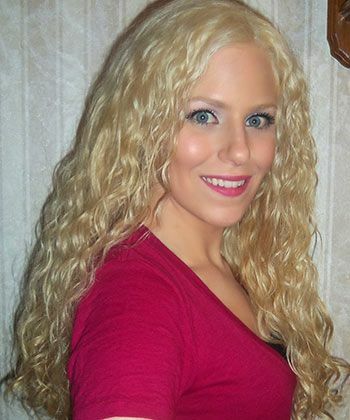 Diane: I enjoy making friends and talking to fellow curly-haired people like myself! Also, it is an incredible feeling when viewers thank me for following tips that I have suggested in videos. Diane: I am looking for a full-time job in the beauty industry. I would love to work in the office of a hair product brand or naturally curly. I wish your office was closer to me! Diane: Disable your ratings. I disabled mine so the thumbs downs wouldn't make me feel sad. Diane: My blog (curlywavydiane.blogspot.com) really needs a makeover. Also, I am planning on doing more videos with my hairdresser, Lisa of Marucci Hair Design! Diane: Learn to love and embrace your curls! It takes some trial and error, mixing, and experimenting with products, but it is fun once you find what works for you. It is nice to save a lot of time and not freak out every time it rains or when you exercise!